On 31st March The Premier League launched Premier League Primary Stars, a national curriculum-linked education programme which uses the appeal of the Premier League and professional football clubs to inspire children to learn, be active and develop important life skills. 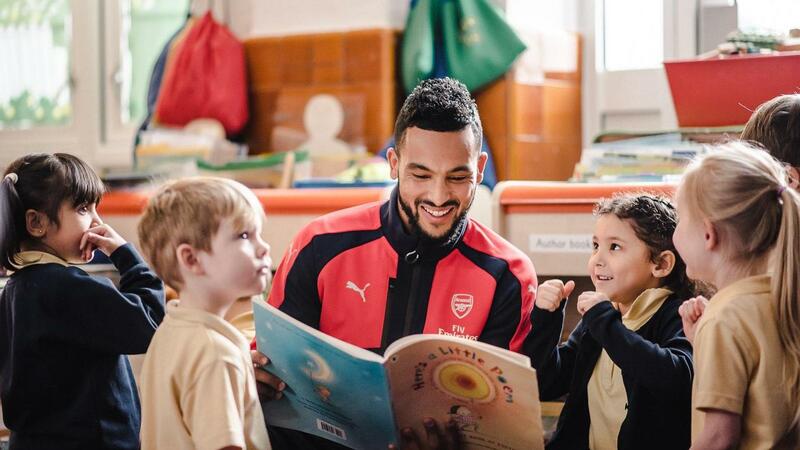 Premier League Primary Stars provides free and easy to use resources linking to the national curriculum and have been developed in partnership with primary school teachers and subject experts including PSHE Association and National Literacy Trust. The new initiative aims to provide teaching resources to 10,000 primary schools by 2019, however the Premier League’s chief executive, Richard Scudamore has said he hoped the scheme can be extended to every primary school in England and Wales by 2022. Teaching materials cover a variety of subjects from English and Maths to teamwork and PE, with free to download activity ideas, worksheets, lessons plans, assemblies and exclusive videos. There’s also the chance for pupils to take part in competitions which range from national football tournaments to creative writing and reading challenges for reluctant readers. Each teaching pack uses real life sport examples to put lesson content into a context relevant to and engaging for children, with an emphasis on tackling challenging personal, social, health and economic education (PSHE) topics such as resilience, diversity, self-esteem and fair-play. Scudamore also added that schools located close to professional football teams could also benefit from club coaches coming into schools to assist with PE lessons. Club support and online resources have been designed to help teachers improve their confidence and skills in delivering PE lessons. The scheme is available to every primary school in England and Wales and teachers can register now to access the free resources.